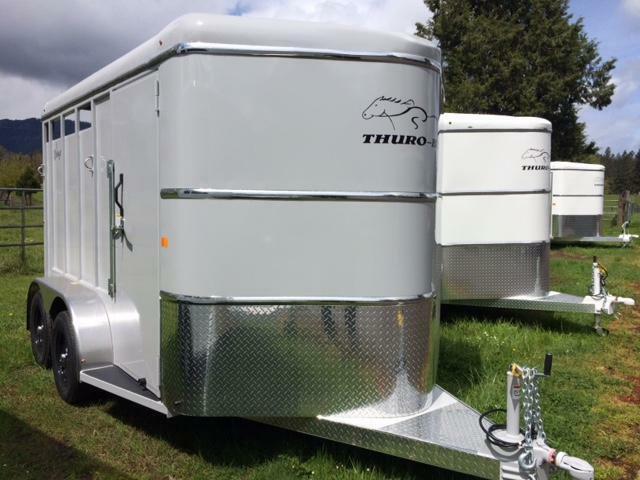 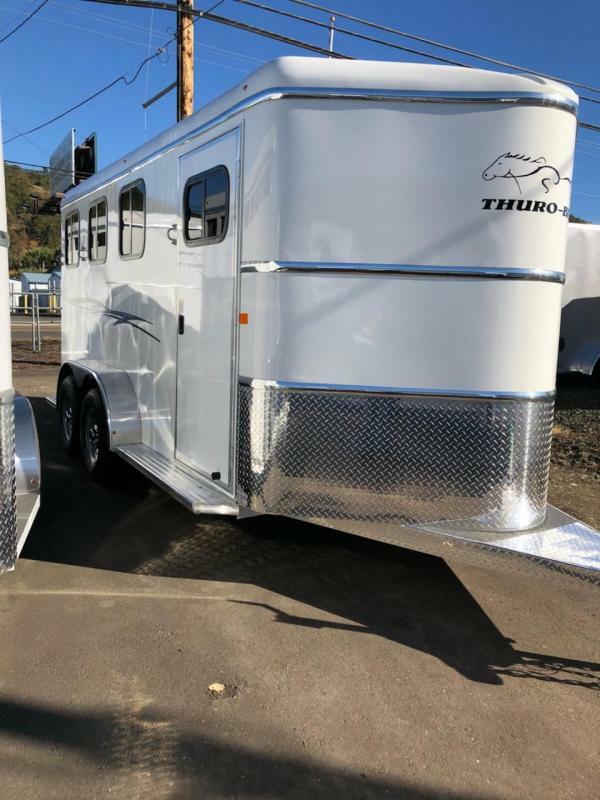 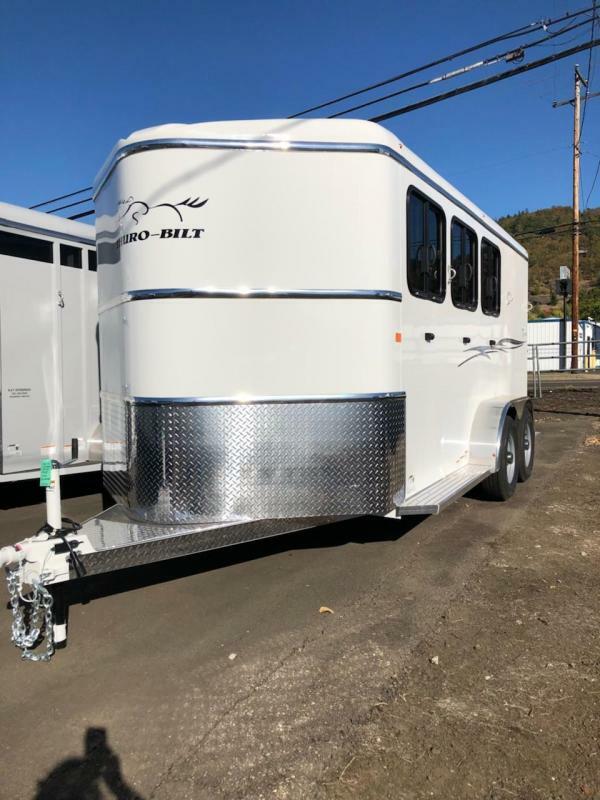 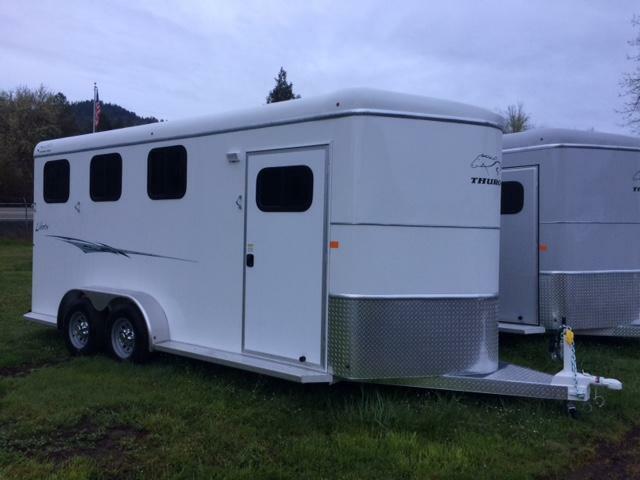 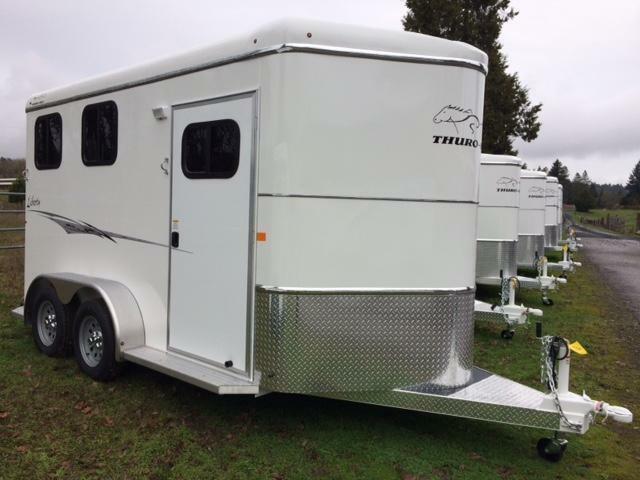 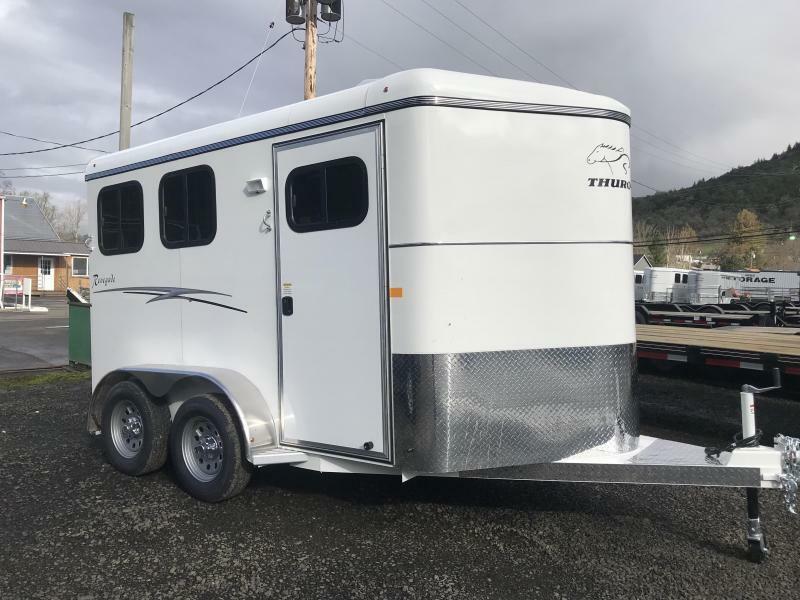 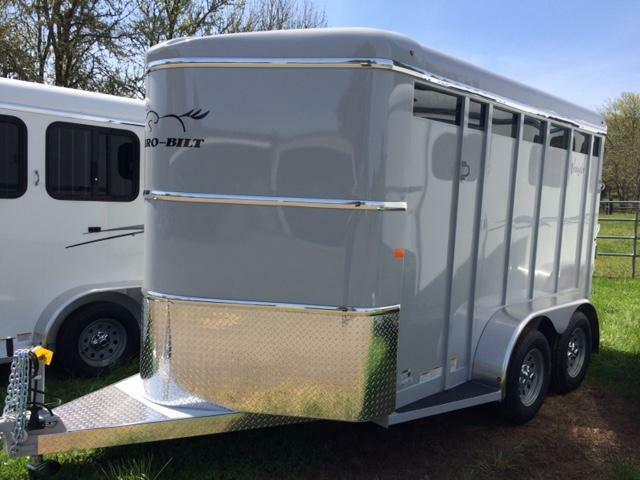 2019 Thuro-Bilt 3H Renegade Horse Trailer, 17' Long, 7' Tall, 10K, Enclosed Diagonal Wall, Telescoping Padded Dividers, Double Wall Construction, Enclosed Single Rear Door, Swing Out Saddle Tree, Caulk Pkg, Floor Mats, Head & Kick Wall Mats, Diagonal Wall Mats, Rear Door Mats, Drop Down Feed Door Windows, Kick Side Windows, Rubber Dock Bumper, Aluminum Fenders, Aluminum Step Plates, Tack Door Organizer, LED Lights, Radial Tires. 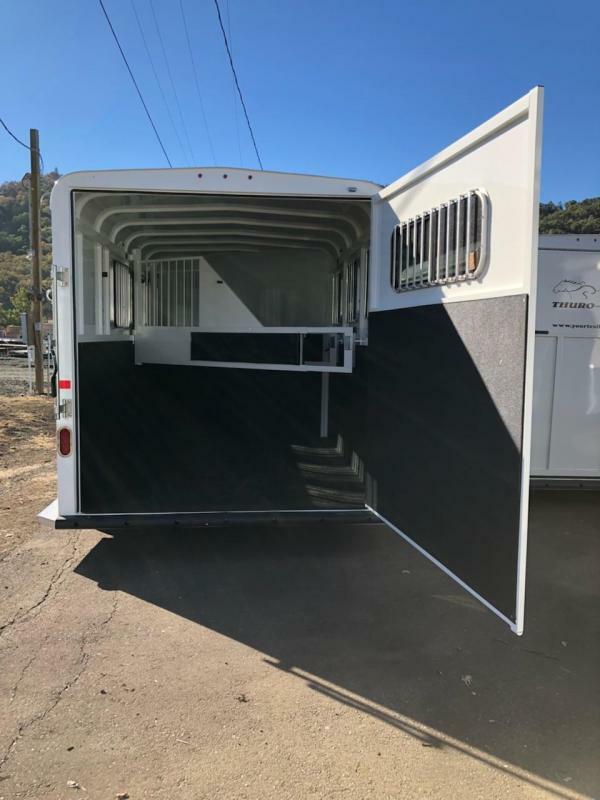 Upgrade Option: Slider Window in Rear Door. 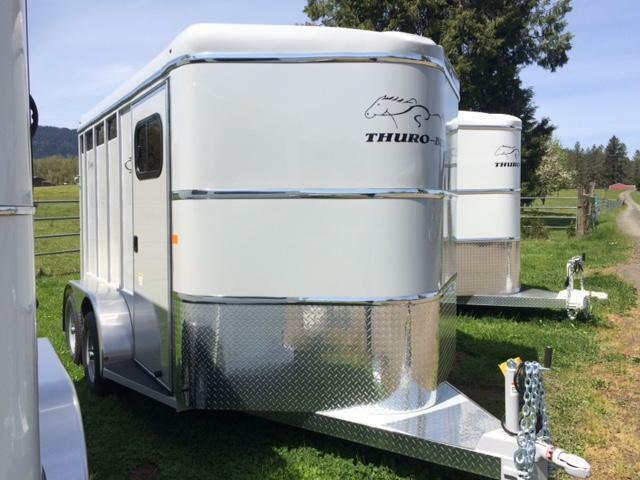 Vinyl Color: Blue.